The Arcadia Rain boots are the latest casual piece of footwear from Italian specialist Sidi. These low-cut boots are made from a mix of both full-grain leather and suede and claim to be water resistant thanks to the water-resistant membrane lining, despite featuring a waterproof logo on the ankle. Other features include non-slip rubber soles, a simple lace-up system, a reinforced shift pad and a moulded removable lining. From their Urban motorcycle boot range you can also purchase Sidi's Gas Leather, Streetburner or Insider Leather motorcycle boots. If it's the Rain you fancy, then it'll cost you £174.99 (RRP). 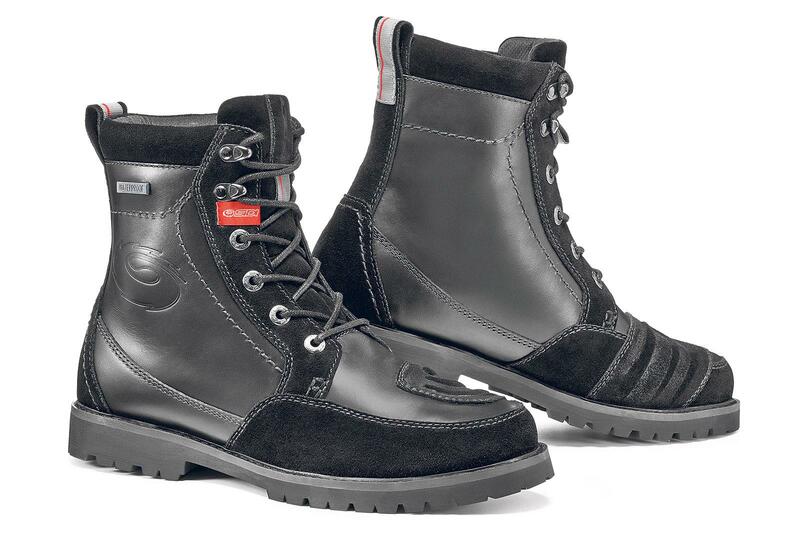 In the meantime, hold on to see if these boots are in fact water resistant when MCN review them.